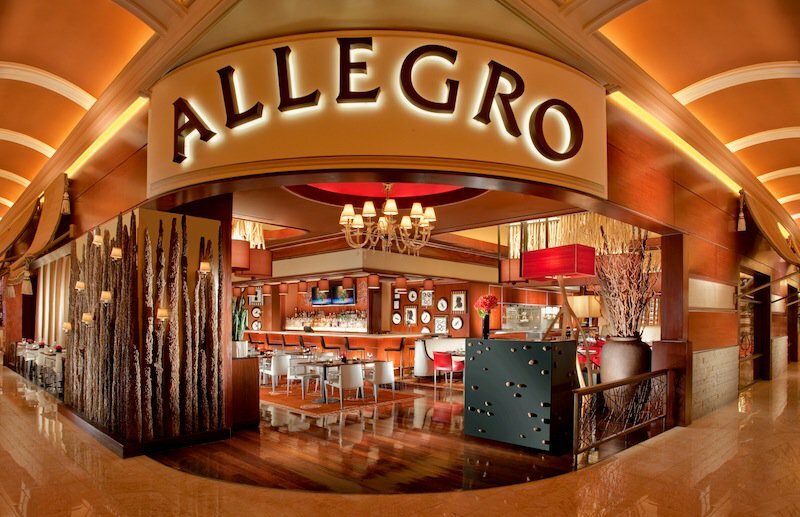 Allegro, the classic Italian-American eatery at Wynn Las Vegas, presents a Pizza Bar Happy Hour from 3 p.m. to 5:30 p.m. every Saturday and Sunday. Enjoy one of Chef Enzo Febbraro’s specialty wood fired pizzas priced from $18 to $21 and endless draft Stella Artois or Blue Moon beers for $25. Guests can also view weekend football games on big screen televisions throughout the bar area. Select from Allegro’s savory array of pizzas including the classic margherita with mozzarella, tomato sauce and basil, the spicy pepperoni and the indulgent bianca with mozzarella, prosciutto, arugula and shaved parmesan. The cuisine at Allegro marries old world recipes and new world innovation. The bustling bistro, with a plumb location at the cornerstone of Wynn’s theater row, salutes Italian cooking in an approachable manner; incorporating fresh, imported ingredients and presenting beloved Italian-American favorites with flavor and tradition. No reservations necessary. For more information about Allegro visit www.wynnlasvegas.comor call 702-770-7000.